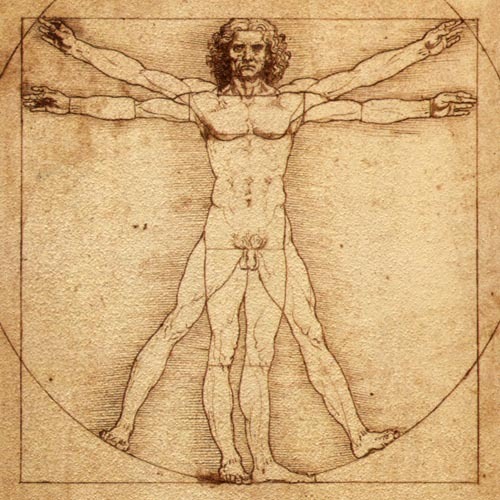 This painting the Vitruvian Man( c. 1492 ) by Leonardo da Vinci displays a spirit of scientific inquiry. What is Man? The understanding of human nature will help to promote man’s well-being. What is Man? The motivation for asking this question comes from a statement expressed in Sanskrit language, ‘Sarvesham Swastir Bhavatu’ which seeks the well-being of all human beings of all races, of all nations, of all cultures, and of all religions. The term altruism describes unselfish concern for the welfare of others. It involves human behavior and actions that appear to favor another individual’s chances of survival and reproduction. The thought expressed in Sanskrit language reveals human nature. Our efforts to support the well-being of man would be affected by our understanding the ‘real’ or ‘true’ nature of man. All religious and cultural traditions make assumptions about human nature. The basic assumption about human nature is that of finding it displayed in feelings, thoughts, actions, and behavior.If man is viewed as a multicellular organism, we need to discover the human nature of this subject who lives because of the functions of the trillions of cells. Hence, we need to know if human nature is displayed in the functional characteristics that are observable in biotic interactions of cells that constitute the human organism. The objective of this blog post is to explore the universal principles that determine human nature. Human cultures and religions seek to know human nature as reflected in man’s thoughts, feelings, moods, actions, and behavior. I seek the knowledge of human nature by describing the characteristics of behavior exhibited by the cells that constitute the human individual. Greek philosopher and the founder of Biology Aristotle(384 – 322 B.C.) has observed that there is a science which investigates being as being and the attributes which belong to being in virtue of its own nature. Greek philosopher and the founder of Biology Aristotle( 384 – 322 B.C. ) has observed that there is a science which investigates being as being and the attributes which belong to being in virtue of its nature. For a thing to come into being, Aristotle describes four kinds of causes, 1. Efficient Cause, 2. Formal Cause, 3. Material Cause, and 4. Final Cause, the end or purpose for which a thing exists. 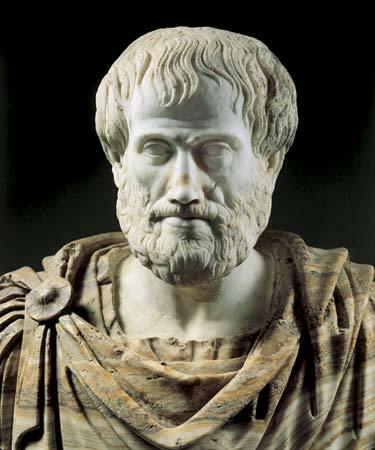 Aristotle describes corporeal substances are composite of two principles, form, and matter. Matter and Form are the Material and the Formal Cause respectively of what comes to be known as a thing. The matter represents the potentiality of the livng corporeal substance and the form represents the actuality of the living thing. The structure and the behavior of things contribute to their individual being and function. Aristotle did not regard the body and soul as two separate entities as the soul is merely a set of defining features. I would like to proceed with my presentation keeping the basic criteria that Aristotle would use to know human nature, 1. the human form, 2. the living matter, 3. the human living thing, its nature being a function of its structure and its behavior. In case of man, the human form undergoes changes during every stage of its existence such as infancy, boyhood, youth, adult, and oldage. The living matter or protoplasm continues to live without any apparent changes in its fundamental living properties. The biological functions or the characteristics of the living matter or protoplasm do not evolve or change because of its survival value for the species. The living functions such as consciousness, responsiveness, recognition, communication through signalling, motion, and nutrition are innate properties of the living substance or protoplasm and are not acquired by a learning process. This innate ability of protoplasm to perform functions helps in the development of instinctive behavior that is observed in the organism. It is not surprising to observe that certain important features of human nature are innate rather than learned from experience. There are several factors involved in the development of human nature and in the formation of individual character. We need to recognize the contrast between the innate and the learned, heredity and environment, nature and nurture or social upbringing. The biological properties such as Motion, and Nutrition, the biological characteristics such as consciousness or awareness of its own condition called existence in a given environment, and the biological nature such as responsiveness, communication, and recognition of other living cells present in its external environment could account for an instinctive behavior pattern observed in all living organisms. This instinctive behavior pattern accounts for the nature of biotic interactions among members of a given biotic community. To explain human nature, we need to study the character and behavior of man’s corporeal substance or protoplasm and view man as a terrestrial organism represented by a biotic community of trillions of individual living cells and as a natural host to trillions of microbes that inhabit man’s gastrointestinal tract. The terms such as spirit or soul must be used by stating its defining features and we need to understand the connection between the feature and the substance that contributes to that feature of soul or spirit that is seen as the vital, animating principle found in all living things. There is fundamental distinction between the lifeless and the living, animate and inanimate, living and nonliving matter. The living system cannot maintain its living functions by exclusively using the elementary laws of Physics and Chemistry. The Mechanist Concept of Life asserts that the phenomena of life are merely processes and transformations obeying elementary laws of Physics and Chemistry. The living system is ultimately reducible to its constituent molecules and atoms. The living cell is a thermodynamically unstable system. This means that without continuous input of energy, a living cell will degrade spontaneously into a nonliving collection of molecules. To maintain life an organism not only repairs or replaces( or both ) its structures by a constant supply of the materials of which it is composed but also keeps its life processes in operation by a steady supply of energy. This functional activity of a living cell is called metabolism. Living systems must be supplied energy for continual synthesis of new organic molecules and to replace, or to repair broken organic molecules. We need to explain this functional ability of a living system to acquire energy from its external environment. This ability is not operated by laws of Physics and Chemistry. For example, in Physics, the force by which every mass or particle of matter including photons attracts and is attracted by every other mass or particle is called Gravitation which is the weakest of the four Fundamental Forces operating in nature. A living system does not use the force of Gravitation to attract a substance to use it for its metabolism. Physics explains the process of diffusion and the operation of Osmosis in which a solvent passes through a semipermeable membrane such as the wall of a livng cell, into a solution of higher concentration, so as to equalize concentrations on both sides of the membrane( the osmotic pressure gradient ). Osmosis is a relevant biological mechanism but it does not fully account for the energy acquisition by a living cell. HOW DOES PROTOPLASM ACQUIRE ENERGY? 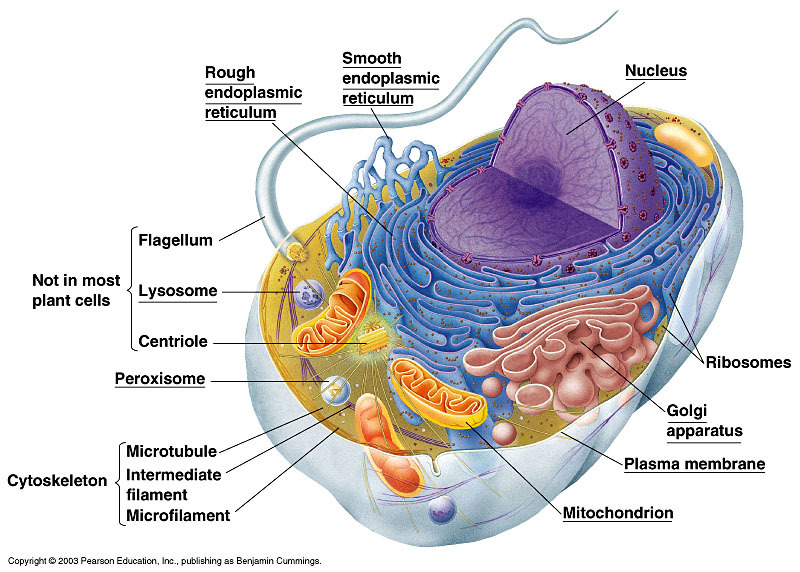 The Biological Membrane or the Plasma Membrane separates protoplasm of the cell from its environment. It allows a highly controlled exchange of matter across the barrier it poses. The functional activity called metabolism involves a living system’s continual exchange of some of its materials with its surroundings, principally in the process of building up or destroying its protoplasm. The most striking characteristics of protoplasm are its vital properties of Motion, and Nutrition. By Motion is meant the property which protoplasm has of changing its shape and position by some “intrinsic power” and exhibit amoeboid movement. Ciliary movement or the vibration of hair-like processes from the surface of any cell may also be regarded as a variety of the motion with which protoplasm is endowed. Nutrition is the “power” which protoplasm has of attracting to itself the materials necessary for its growth and maintenance from surrounding matter. When any foreign particle comes in contact with the protoplasmic substance, it becomes incorporated in it, being enwrapped by one or more processes projected from the parent mass which encloses it. When thus taken up, the foreign particle may remain in the substance of the protoplasm for some time without change, or may be again extruded. The living substance called protoplasm has the “intrinsic power” of motion and uses its power to ingest and to expel foreign particles in the external environment with which it may come into contact. 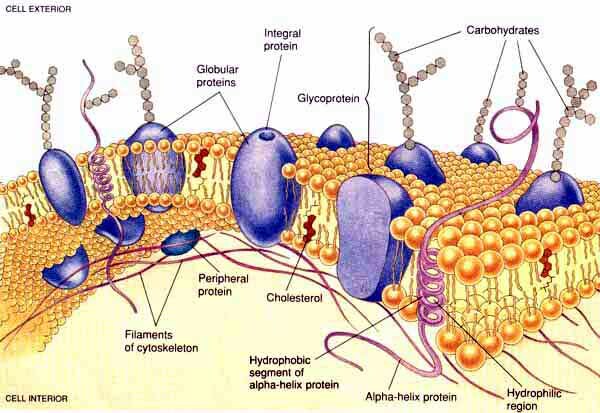 The Biological Membrane or the Plasma Membrane which separates protoplasm of the cell from its environment allows a highly controlled exchange of matter across the barrier it poses; some compounds are able to pass through the membrane easily, others are completely blocked. The screening effect on the substances that enter and leave the cell is perhaps the most important function of the membrane. The actions and behavior of protoplasmic substance are dependent upon its innate “power” and may not be attributable to elementary laws of Physics and Chemistry. 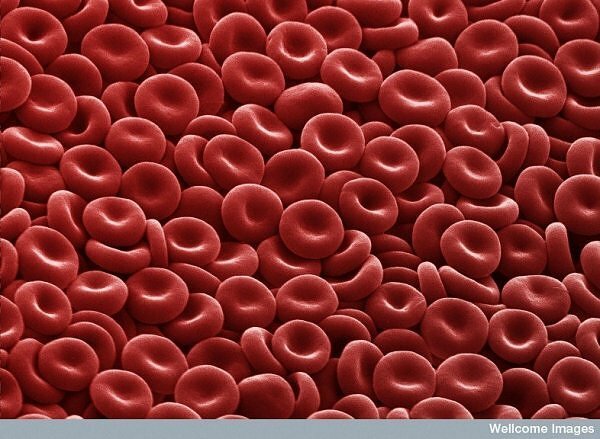 Red Blood Cells provide a very good example of the adaptive subordination of cells to meet the requirements of the Whole Organism. The specialized functions of tissues and organs of human body are possible because of such functional subordination. The structural differentiation and the functional organization of various organ systems makes man a very complex living organism. This kind of specialized functions of tissues and organs is possible because of adaptive subordination of the cells to the requirements of the Whole Organism. If altruism describes any behavior that appears to favor another individuals’ chances of survival, we can easily recognize this characteristic in the functions performed by the Red Blood Cells. Each Red Blood Cell lives for a very limited life span of its own and during its short period of existence it serves the purpose of the Whole Human Organism with a sense of devotion, with the spirit of cooperation, to provide assistance to all other cells, tissues, and organs of the body in a selfless manner. I define the term ‘Spiritualism’ as the NATURE of a relationship, a partnership, an association, or bonding between two individual living entities based upon characteristics such as compassion, sympathy, understanding, cooperation, mutual assistance, mutual tolerance, voluntary subservience to provide some benefit to the member participating in the biotic interaction. Spiritualism is innate and is not acquired by learning experience. The very existence of the human being and to perform the characteristic living functions, man depends upon the protoplasmic substance and its innate “power” to acquire energy from its external environment. The human form becomes the actuality that it represents by the NATURE of its spiritual association with the protoplasmic living matter. Man is a spiritual being because of the spiritual nature of his protoplasmic living substance.